The concept of information is understood differently in different disciplines, therefore there is no universally agreed-on definition for information. However, information can be clarified through defining and describing its properties. 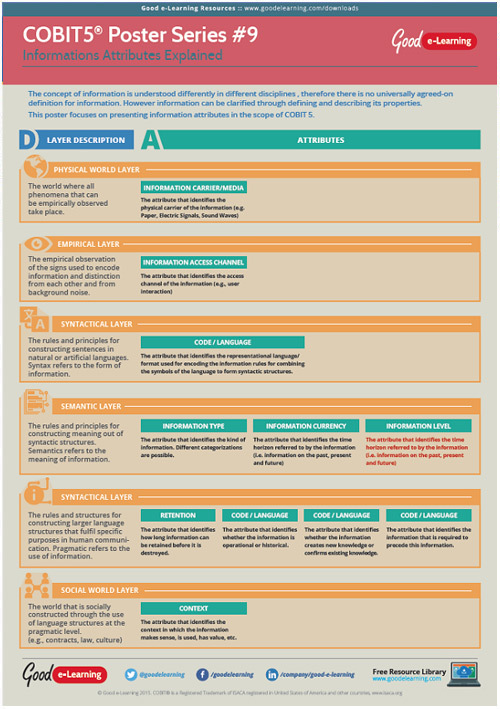 This COBIT 5 poster focuses on presenting information attributes in the scope of COBIT 5. Download this free IT Governance learning resource and you’ll also get instant access to our library of 490+ business & IT learning resources!